Active older adults find a sense of community and lead healthier lives with less medication. Active older adults look forward to finding positive ways to make the most of their lives and they are finding it at the Y. Today, adults are living longer — desiring independence and healthy active lifestyles. In a population study for Greater Danbury for the Community Health Improvement Plan, we learned that the fastest growing age group is adults age 65 and older. We know that on average an adult at age 65 can expect to live another 19 years with roughly 66% of the time in good health. There is an opportunity for new experiences and improved well-being during this new time in your life. The Regional YMCA of Western Connecticut, in partnership with National Council on Aging, and Connecticut Community Cares implemented a program called the “Aging Mastery Program.” It is an opportunity for members to participate in a free program that provides new pathways that encourages ongoing and positive engagement in life. 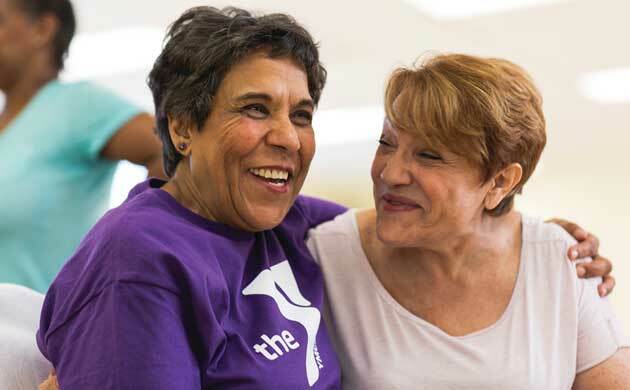 Programs like Aging Mastery, demonstrate the Y’s ability to form strong partnership with organizations like Western Connecticut Health Network and the National Council on Aging to bring the community the resources it needs. With the support of our generous donors, we can continue to provide programs that meet the needs of the entire community. Give today and strengthen the bonds of our community.